The “Black Mariah" steel tip dart set is an exceptional looking set at a very affordable price! Black coated brass barrels match the black aluminum shafts for a very sleek stylish look. The barrels are heavily knurled to ensure a firm non slip grip. 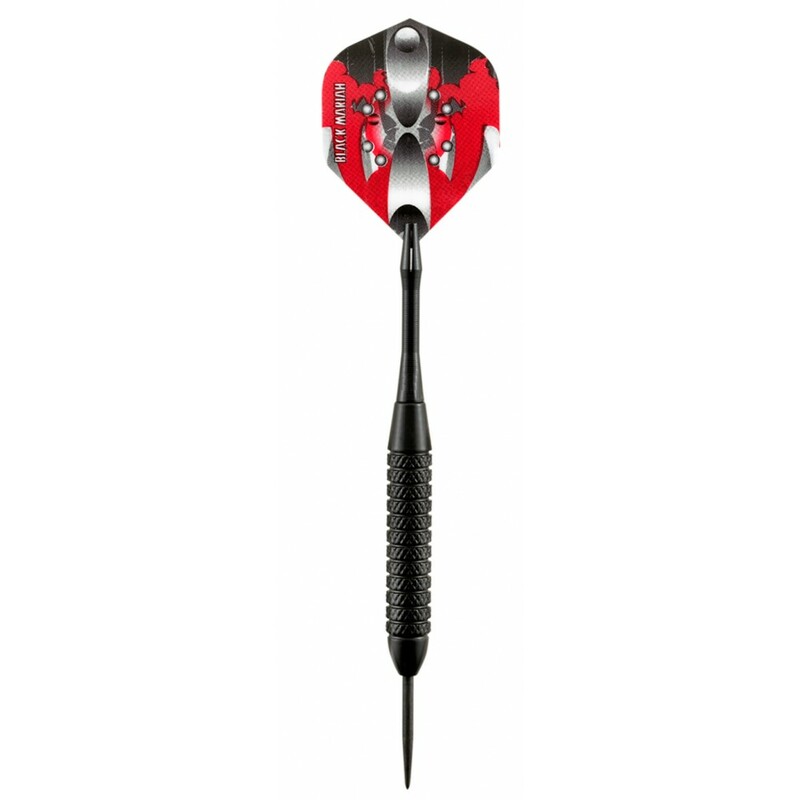 Look and play like a professional with a minimum investment when you choose the “Black Mariah" steel tip Dart set. Ships UPS.